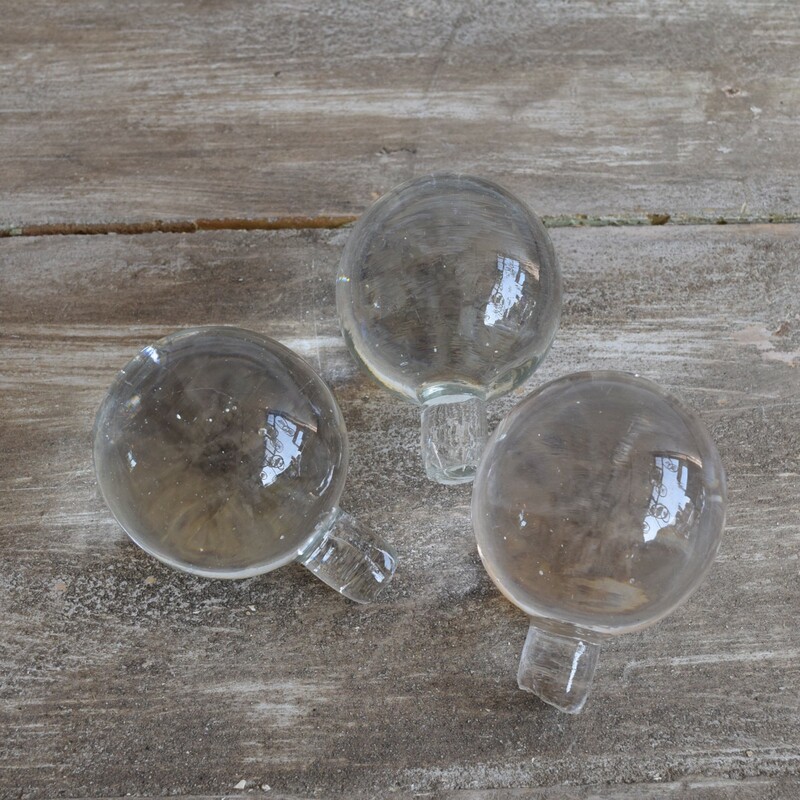 There are 14 of these glass spheres available. We are unsure of their original use however could imagine them sitting on top of a bannister post or (if properly attached) at the ends of curtain poles. They are heavy solid glass items and each is unique as they have been handmade.